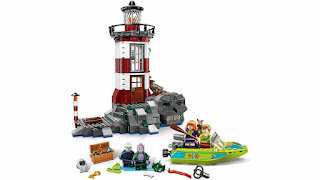 come with a haunted lighthouse island and a speedboat. 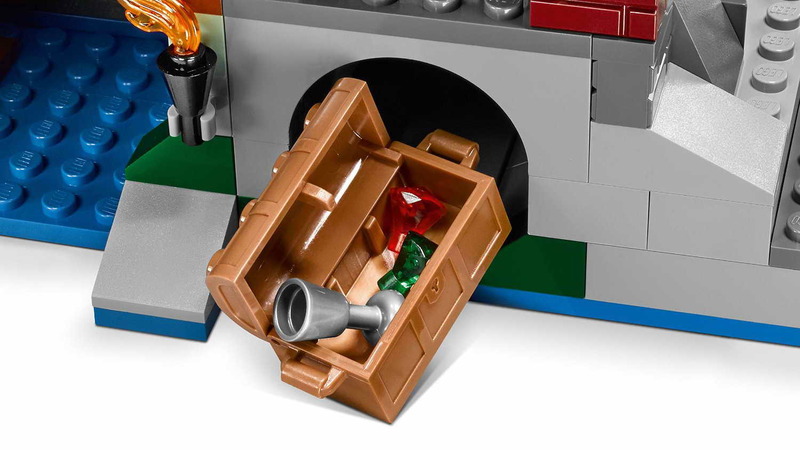 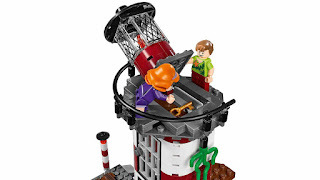 the island has a lighthouse tower with balcony, transparent orange flame elements, secret compartment with golden key, a prison with openable door, a kitchen with an oven, a pan, a cheese, a rat, a light pole, a secret compartment with map / clue beneath movable planks, a secret compartment with treasure chest containing 2 gems and a silver colored cup, a wheel operated openable skull cave with a crate containing a crowbar, an air tank and flippers, a trident, a ‘keep out’ sign and seaweed elements. the speedboat has a windscreen, a steering wheel, a paddle, an engine with rotatable propeller and water ski elements with attachment line. 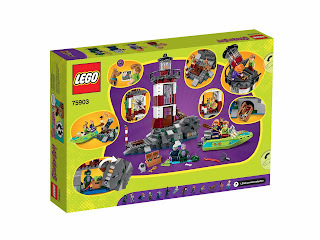 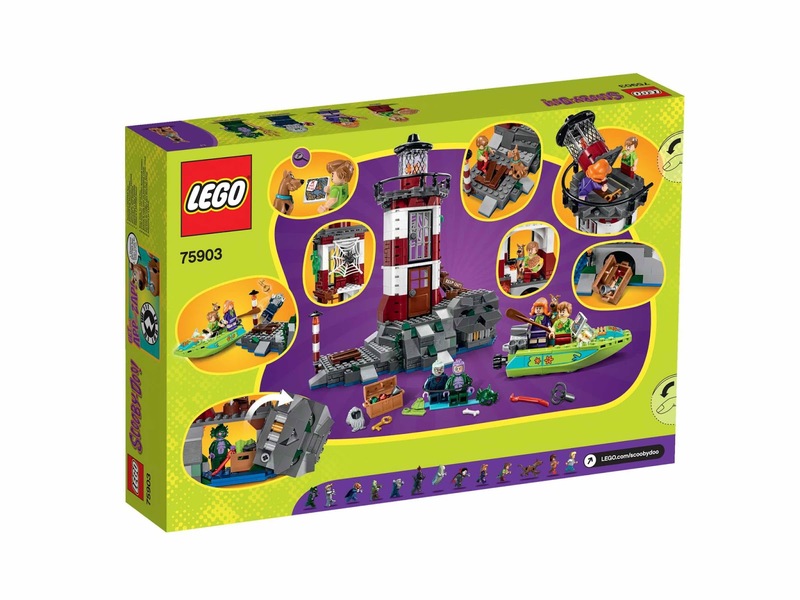 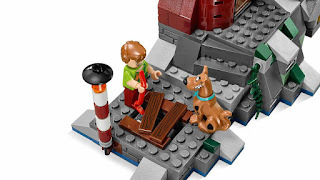 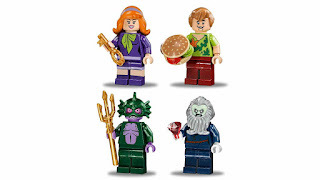 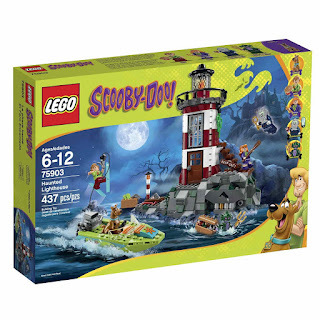 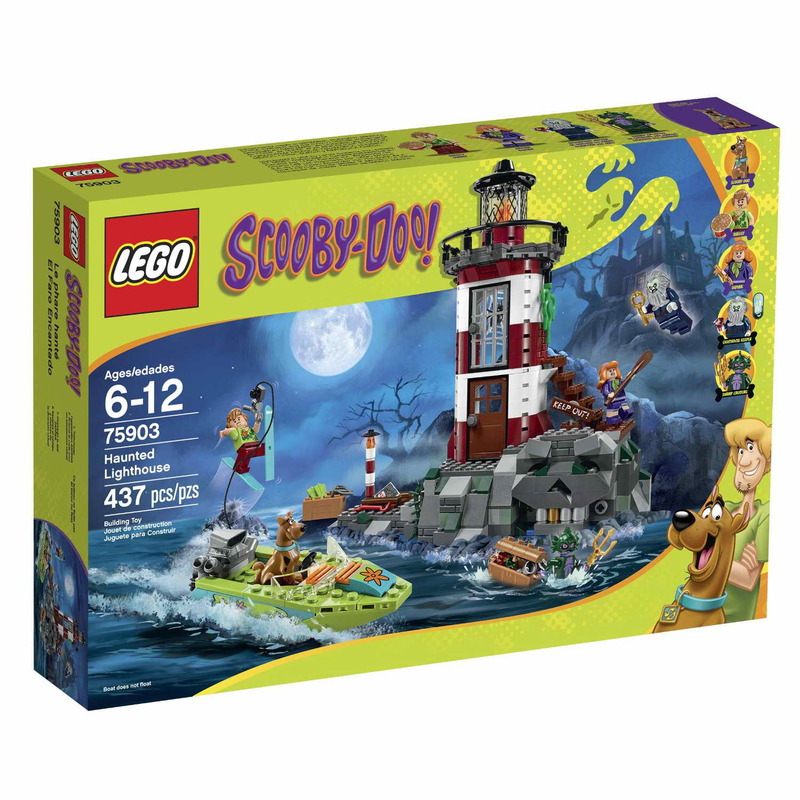 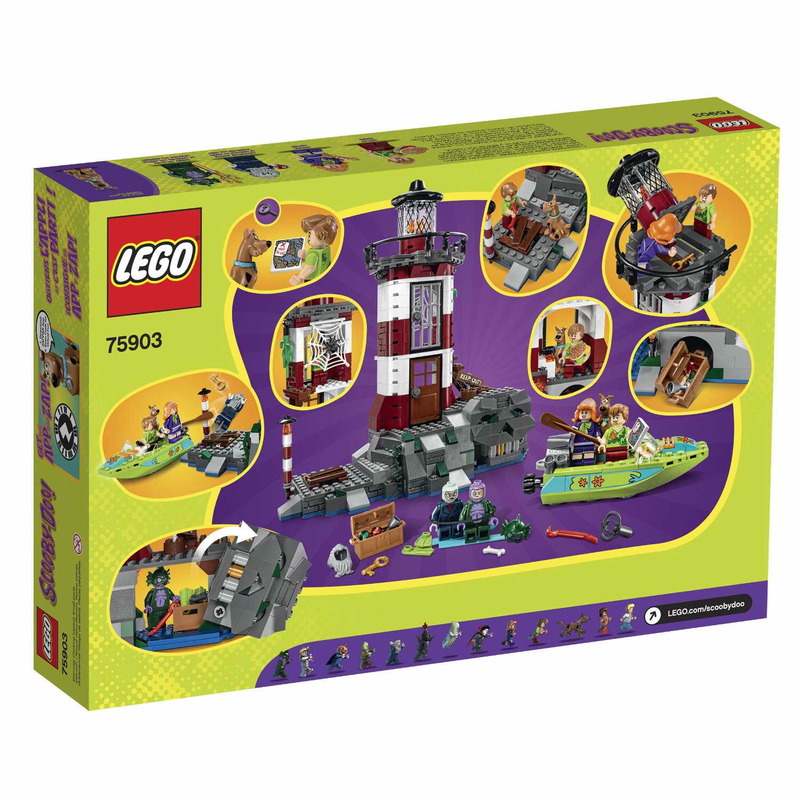 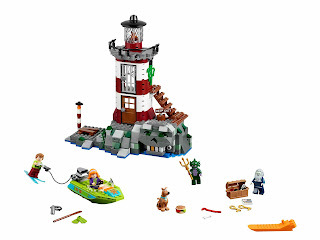 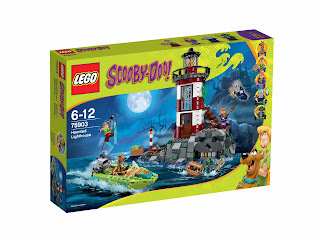 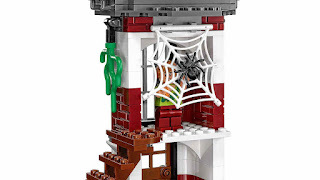 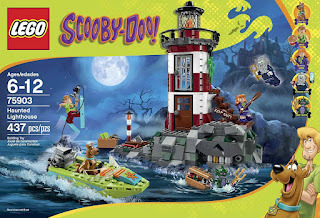 minifigs included a daphne minifig, a shaggy minifig, a lighthouse keeper / verona dempsey minifig and a swamp monster /mr brown minifig.